Regional Alliance For Youth (RAFY) has signed an MoU with the Society for Awareness Fostering and Enlightenment (SAFE). 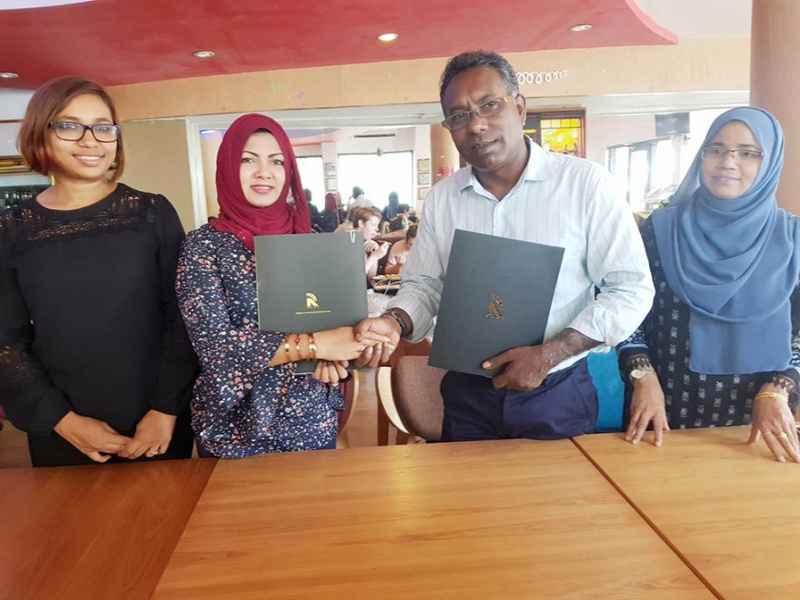 At a ceremony held at Jade Bistro yesterday, the agreement was signed by the founder and President of RAFY, Aishath Rafiyya. The agreement brings the two organizations to would work together and conduct a number of programs targeted to empower the society, especially the youth and women. And so the programs connected to life skills and leadership skills for women and youth will be conducted according to RAFY. And a special anti-drug rehabilitation and awareness program would be held to help those who wish to get out of the addiction.